Soar in style with Bespoke Air Charter to one of the most under appreciated, yet utterly fantastic, holiday destinations. 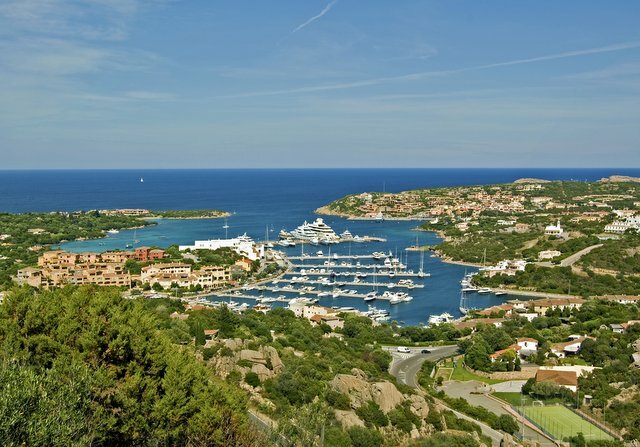 Olbia, in northeastern Sardinia, is overlooked due to the tourists flocking to Costa Smeralda for a vacation. However, they are missing out, as Olbia is a stunningly beautiful hidden treasure that everyone must visit. Once you have navigated through the residential outskirts, you reach Olbia’s lively centre, which is chock full of wine bars, boutiques and piazzas. There is something for everyone here, and the city offers a more authentic alternative to the usual tourist trap resorts. If you are looking for a place where relaxing and taking a break from life’s hectic routine is top of your ‘To Do List’, then Olbia is the place for you. It is host to some of the most incredible beaches, of which Porto Istana is perhaps the best. Porto Istana is located along one of the most beautiful stretches of coast that Sardinia has to offer. The extraordinarily fine, white sands are warm to the touch, and are complemented by the vast turquoise expanse of the sea. Let your body be slowly embraced by the cleanest, clearest waters, as the sunlight refracts and dances from the surface. Adventure and Explore Out of Your Depth! If you tire of relaxing, and watching the gentle waves lap graciously along the shoreline, then perhaps a little kayaking will revitalise you. Whether you are a keen water-sports lover or not, kayaking is a simple and delightful activity that is fun for all the family! SardinianDiscovery.com has tailor made outdoor excursions and kayaking trips all over Sardinia! Discover the beauty of the ocean, towering cliffs, secluded beaches and cavernous caves. Built in the late 11th century, the Basilica of San Simplicio sits atop a small hill, and is definitely worth a peek. This gorgeous monument is an example of true artistic simplicity. I would advise you visit this just before dusk, as the sun’s warmth emanates from the stone structure, and beckons you closer. Be lured and enraptured by Olbia’s hidden gem, a restaurant named La Rocca Olbia Ristorante. If you’re in the mood for some authentic Sardinian food, served in a lively atmosphere, then La Rocca fits the bill. You can savour the flavoursome food, whilst sipping on the local lager, Ichnusa. Imagine a truly spectacular sight of both land and sea, spanning over 12,000 hectares and 180 kilometres of coast. The rich and fertile land that Olbia has to offer merges cacophonously with the crystalline surf, and it surely is a sight to behold. Towering great cliffs, dappled with deep, forest green foliage, only enhance the absolute purity and naturalness that envelops you during the experience. Situated along the stretch of sea between Sardinia and Corsica, known as Bocche di Bonifacio, you will bear witness to the near deserted plethora of remarkable splendour.